SMART Cars are relatively new to the automotive scene. Developed in the early 2000s, SMART Cars weren’t introduced to the United States until 2008. 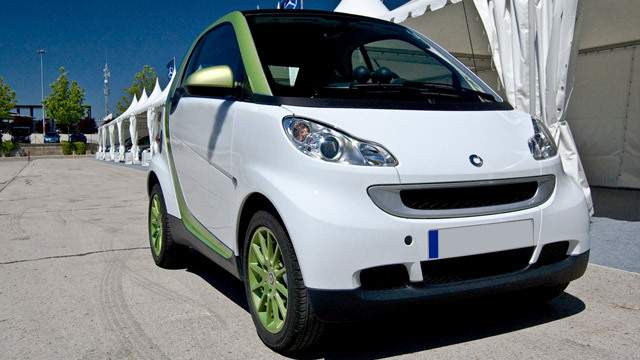 Manufactured by Daimler AG, the SMART Car has an unmistakable compact size and forward-looking design. Fuel efficient and cost-effective, these small vehicles are the perfect transportation solution for the modern urban auto owner, proving that bigger is not always better. Regardless of size, you depend on your car day in and day out. As a SMART Car owner, you understand that a quality car demands quality service, so it only makes sense to find the highest quality service for your SMART Car’s repair and maintenance needs. No matter what kind of care or maintenance your SMART Car needs, you can count on us to go above and beyond to deliver top-notch service. Give us a call today or stop in to schedule an appointment, and we’ll get right to work for you!